All the Finn and Poe shippers out there will be glad to hear this news: Oscar Isaac wants Poe to be a part of the LGBT fam! 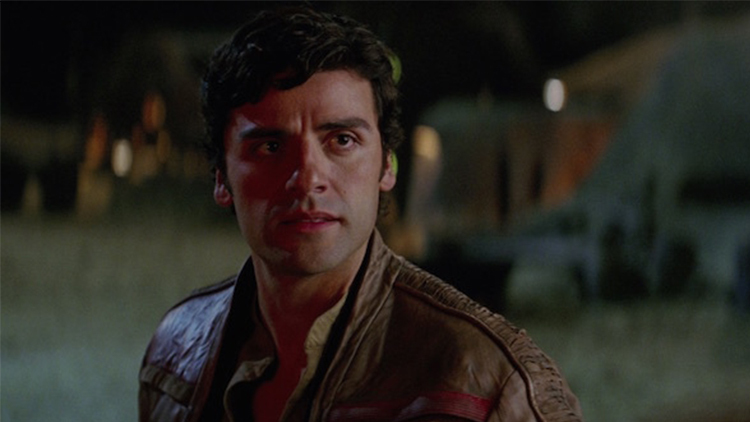 In a recent interview with the Huffington Post UK promoting his upcoming film Operation Finale, the internet's boyfriend talked about his Star Wars character Poe Dameron, and how he wants his character's sexuality to be "as fluid as possible." "I’m all about keeping it as fluid as possible," Isaac told HuffPost. "There are a lot of interesting people in the galaxy, it’d be a shame to cut off 50 percent. I think Poe’s open to any kind of adventure." The question of Poe's sexuality came up after a fan noticed how, according to a page in Star Wars: The Last Jedi ― The Visual Dictionary, the resistance pilot wears a ring that he is "waiting to share someday with the right partner." Many believe that the use of the gender-neutral term "partner" is foreshadowing a Finn/Poe romance, which, although unlikely (remember the Finn/Rose kiss from The Last Jedi? ), is something we would absolutely L-O-V-E to see play out on the big screen in a future Star Wars movie.